EVANSVILLE, Indiana – The Web.com Tour, United Leasing & Finance, Golf Gives Back and Dormie Network announced today a 10-year agreement for Victoria National Golf Club to serve as host of the Web.com Tour Championship through 2028. 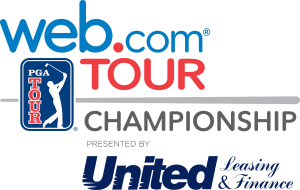 The newly-named Web.com Tour Championship presented by United Leasing & Finance will be contested August 30-September 2, 2019, with the final round set for Labor Day. United Leasing & Finance, which served as title sponsor of the annual United Leasing & Finance Championship since 2012, will be the presenting sponsor of the event. Since 1964, United Leasing & Finance has offered creative financial solutions through leasing and commercial lending for small enterprises to Fortune 100 companies. Victoria National, which has served as tournament host since 2012, has developed a reputation as one of the more demanding venues on the annual Web.com Tour schedule. The course, which is currently 43rd in Golf Digest’s list of “America’s 100 Greatest Golf Courses,” has statistically played as one of the three most difficult venues on Tour each of the last six years. The Web.com Tour Championship has produced an impressive list of winners, including major champions David Duval (1993) and Stewart Cink (1996), as well as recent PGA TOUR winners Matt Every (2009), Chesson Hadley (2013) and Emiliano Grillo (2015). For more information on the Web.com Tour Championship, or the Web.com Tour, please visit PGATOUR.com. media via Twitter (@WebDotComTour), Facebook (facebook.com/WebDotComTour) and Instagram (Instagram.com/WebDotComTour). Since 1997 we at Web.com have been the marketing partner for businesses wanting to connect with more customers and grow. We listen, then apply our expertise to deliver solutions that owners need to market and manage their businesses, from building brands online to reaching more customers or growing relationships with existing customers. For some, this means a fast, reliable, attractive website; for others, it means customized marketing plans that deliver local leads; and for others, it means customer-scheduling or customer-relationship marketing (CRM) tools that help businesses run more efficiently. Owners from big to small and everything in between can focus on running the companies they know while we handle the marketing they need. To learn how this global company collaborates with customers and employees to achieve their potential, explore Web.com or follow on Twitter at @webdotcom or on Facebook at www.facebook.com/web.com.